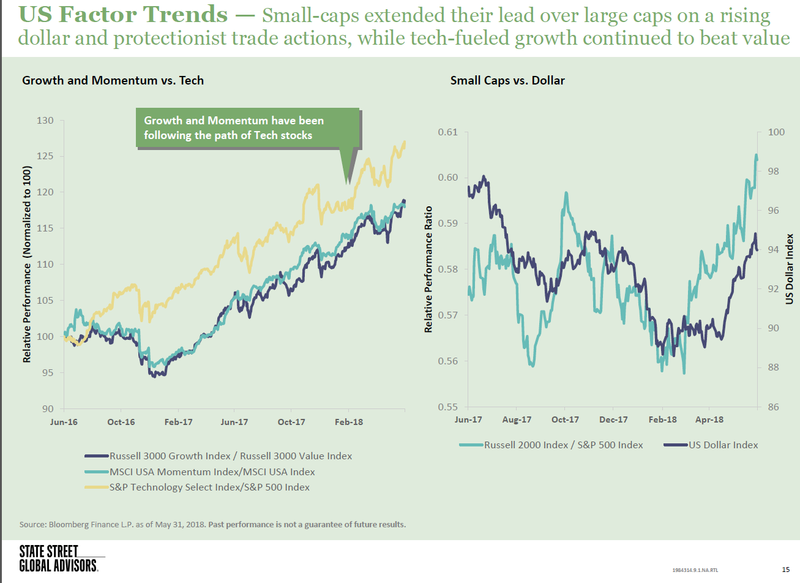 1.Small Cap Following Dollar and Momentum Following Tech. 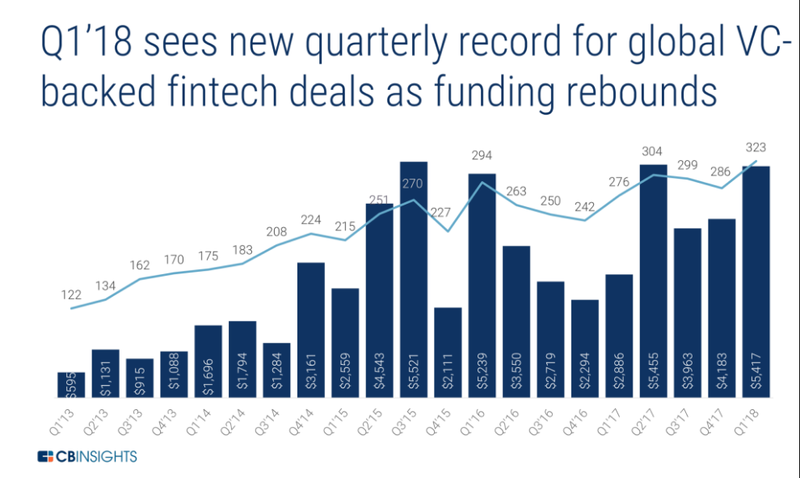 2.Quarter One 2018 VC Backed Fintech Deals Hit a Record. 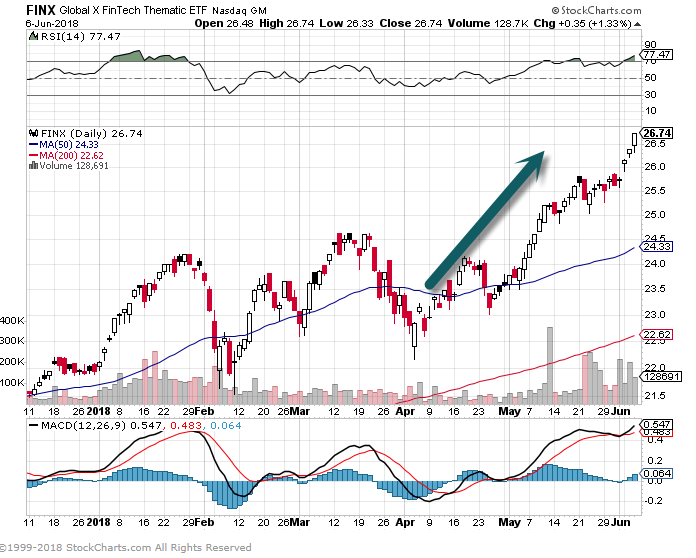 Theme Based ETF on Fintech. 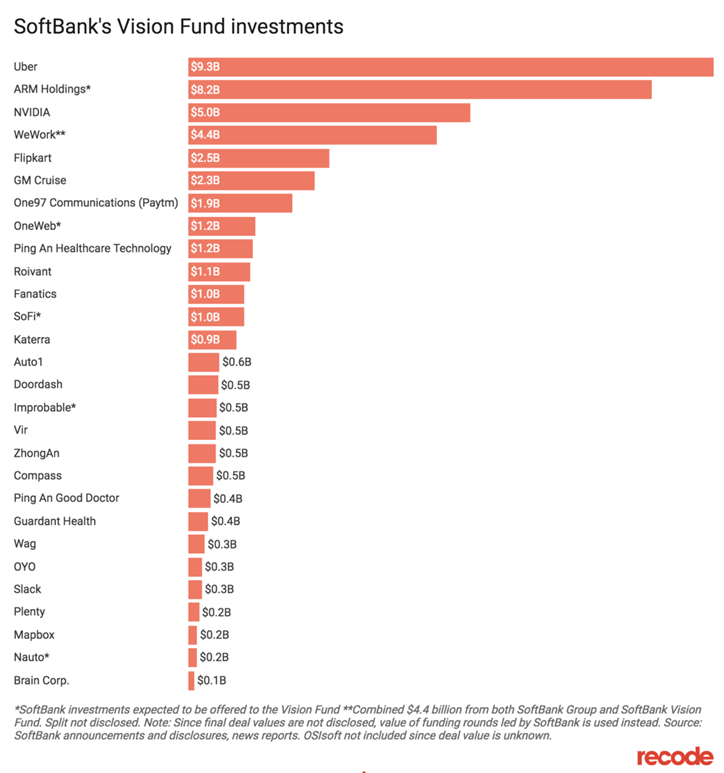 3.Softbank Invested $100B with Vision Fund. 4.Number of U.S. Stocks Halved But Supply of Global Stocks Doubled. The number of stocks in the U.S. has more than halved since 1997, falling from roughly 7,000 to around 3,400. Since 1997, stocks outside of the U.S. have doubled, from roughly 20,000 to 40,000. 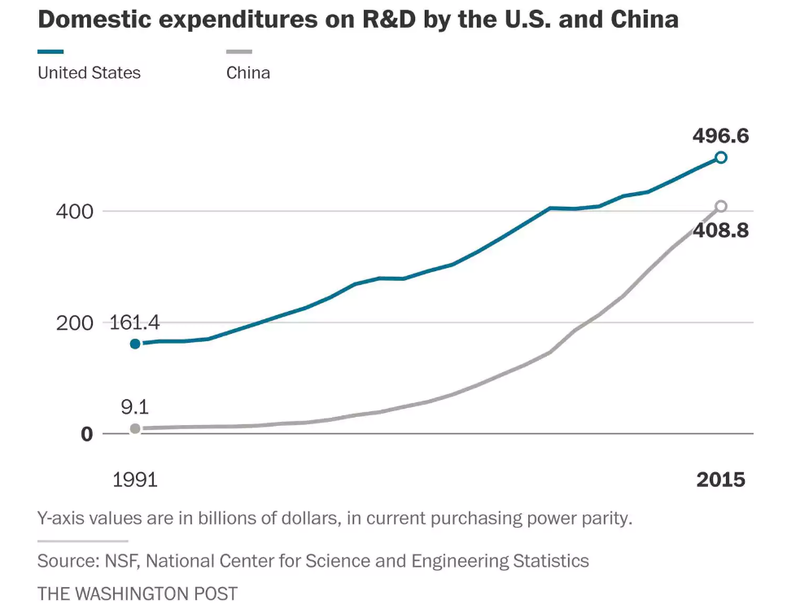 One of the worries some investors have when they see this kind of data is that the U.S. market is becoming too concentrated at the top. The data doesn’t back this up. First of all, the concentration of the top 10 stocks in the S&P 500 has been fairly stable over time in the 20-25% range. In fact, things were far more concentrated at the top in both 1980 (26% in the top 10) and 2000 (24%) than they are now (23%). It also makes sense to look at the types of stocks that have disappeared over the past 20 years or so. Vanguard found that the majority of publicly traded companies that have dropped off have been micro-cap names. These are the smallest companies in the market, which make up less than 2% of the total U.S. market cap. They found there were over 2,000 micro-cap companies in 1979, a number that jumped to more than 4,100 during the late-1990s tech craze (most of these stocks probably never should’ve gone public to begin with). Micro-caps names now stand at just over 1,500. Most small companies are simply being acquired by larger companies or private equity rather than going public themselves. But Buffett added that a strong economy doesn’t necessarily mean it’s a good time to buy stocks. For his part, Dimon — who’s led J.P. Morgan as its CEO since 2005 — echoed Buffett’s positive comments on the state of economic growth, saying that the current uptrend in business could last a number of years. Comments from the two business leaders came as indicators of economic health continued to show strength. The unemployment rate, for example, fell to an 18-year low of 3.8 percent, according to figures released Friday, while second-quarter growth may reach 4.5 percent, according to the Atlanta Fed’s GDPNow tracker. 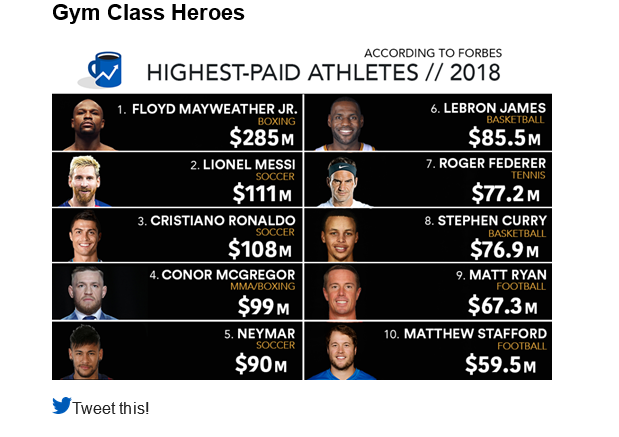 7.10 Highest Paid Athletes 2018. 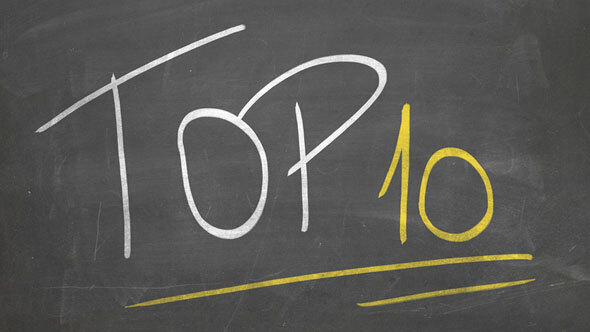 Moreover, inspiring or moving news pieces or articles can uplift us and even teach us new ways of thinking or acting. They are the ones we share with others, tell our friends about and keep thinking about for days. They help us reflect about issues and life in deeper and more meaningful ways. And we have a profound need for meaning – which makes us deeply fulfilled, as Emily Esfahani Smith shows in her book The Power of Meaning(link is external). One way to help uplift others is to post uplifting news ourselves. Grounding practices like walks in nature, meditation, exercise, and technology fasts can help us get centered. Verbalizing our experiences and feelings by talking them out or writing them down have also been shown to be deeply therapeutic. Breathing practices I’ve described in my book The Happiness Track(link is external)can calm our nervous system in moments, our research with highly stressed individuals (veterans with trauma) has shown. In so doing, we regain the resilience we need. As a fellow mother told me the other day, “Every time I give my baby cow’s milk to drink, my heart hurts for the cow who was forcibly taken from her calf in order to produce milk for us.” The Jain and Yogic concept of ahimsa or non-violence comes from a deep understanding that others’ pain is also our pain. You therefore weave a new narrative: a narrative in which you walk lightly and delicately, in which you speak consciously and compassionately, in which you act mindfully and with love. Read more on the science of happiness in my book The Happiness Track(link is external).